This unique piece is made with copper and two Quartz crystals and 7 misc. stones. 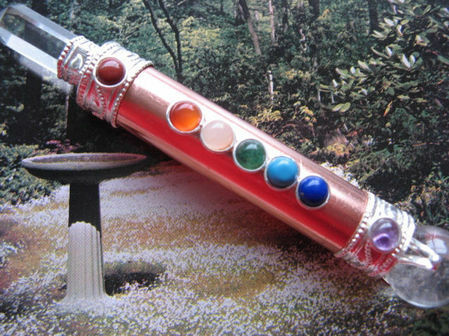 The 7 stones on this wand are for the 7 chakras of the human body. Great Energy on this one! !